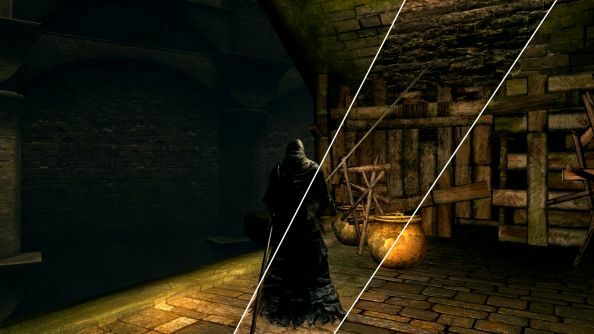 UPDATE: DSFix, the most essential Dark Souls mod, has been updated in the wake of Dark Souls ditching Games for Windows Live. We’ve changed our list to include this new Steamworks version of the mod. 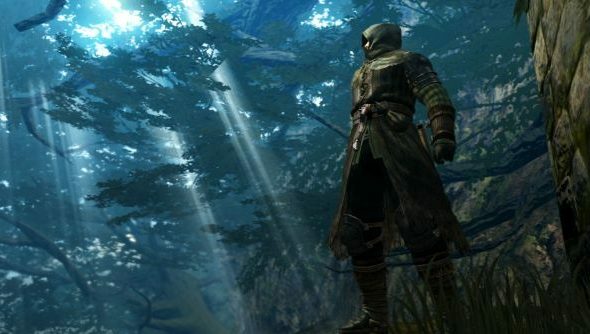 Dark Souls is a truly great game, but it’s also a shabby one. From Software, bless their hearts, gave us the PC port we were clamouring for even though (as they themselves admitted) they didn’t really know how to make one. The final result was technically underwhelming, with low resolutions and poor framerates holding back an otherwise stunning game. Thankfully, this is PC gaming, which means when we don’t like something, we fix it ourselves. Check inside for a collection of mods that will help turn Dark Souls into a port worthy of the PC. I cannot understate how essential this mod is. If you plan to play Dark Souls on PC, you simply must install it. DSFix is called so because it fixes Dark Souls, specifically it fixes the unfortunate graphical issues created by the clumsy porting process. By default Dark Souls doesn’t render any higher than 1040×720, DSFix fixes that. It also doesn’t run at more than 30 FPS, DSFixes that too. Plus it lets you scale the UI to better suit high resolution monitors, provides a structure for other modders to replace textures and adds some fancy new post processing effects. Get it, install it, love it. This neat little program allows you to edit every aspect of DSFix: things like resolution, SSAO, depth of field, and the HUD options, without having to tinker around with the ini files. Instead just boot up Morten242sUI, and all your changes can be made in a simple options window, without any fuss. Despite Durante’s sterling work with DSFix, Dark Souls’ visuals are still blurry and low resolution compared to high end PC games. This is why Neoshroomish has started the long process of replacing those textures with high resolution alternatives, beginning with the Blighttown and Sens Fortress areas. The result looks much sharper and cleaner, but loses something of Dark Souls’ signature grime. You can decide which matters more to you. There’s a second pack available here. While DSFix upscales Dark Souls neatly, one element that comes off badly in the transition is the text. Dark Souls’ fonts are built for 720p, which means they look ugly and jagged on a decent size PC monitor. Thankfully Blackfoggen has produced a simple but effective mod that switches the fonts out for high resolution alternatives, leading to a much cleaner and simpler look. Dark Souls is a lonely, lonely world. So on the rare circumstances that you do actually see a friendly face, it would be nice if it wasn’t the soulless visage of a glass eyed doll. Andres Cranial Ember improves the facial textures used by both the player character and all NPCs, making them just a little bit more convincing and realistic. Fans of Skyrim may recognise mod maker Vurt for his impressive foliage improvement mods, which is why it’s great to see him bringing his talents to Dark Souls. His current Flora Overhaul mod is still a work in progress, so don’t expect every tree and bush to be as gloriously lush as it could be, but if his Skyrim mod is anything to go by, the finished article will be a treat. Trust me, Vurt knows plants. Fact: PC gamers love beards. No noble adventurer would be complete without a spot of manly chin fuzz, proudly proclaiming his determination to go boldly forth. Joking aside, this new extra hirsute version of the male face textures are a serious improvement over the originals. The addition of the new Riker style beard gives him an aura of rugged competence, which will last right up until the first ‘You Died’ message.